Dedicated walkers maps offering greater clarity for the outdoors, they exclude excess data and are easy to read in poor light or bad weather. We stock the widest range for PC or Mac and iOS. 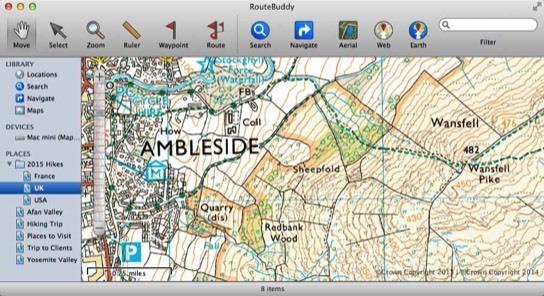 OS offer a wide range that suit walkers, cyclists & road, river, canal users; packed with detail the colours enable any user to make the best use of the map. 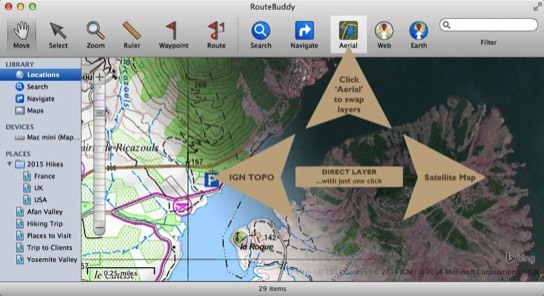 Until you try our OneClick DirectLayer Satellite Maps, with a topo map underneath, it will be hard to appreciate the advantage RouteBuddy offers over all others, web or offline. 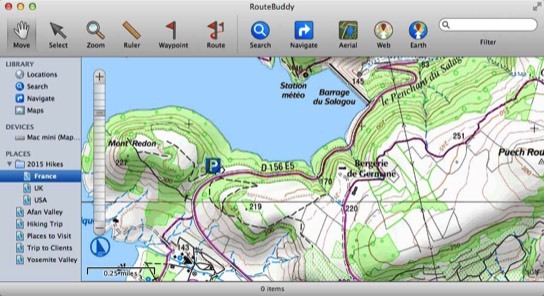 You will find More Trails in RouteBuddy when route planning. 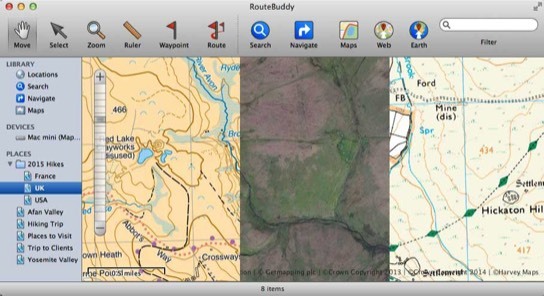 Only in RouteBuddy can you mix maps from the same and different cartographers which gives you a huge advantage when planning routes. The image shows three maps layered together, Ordnance Survey, Harvey and Satellite. 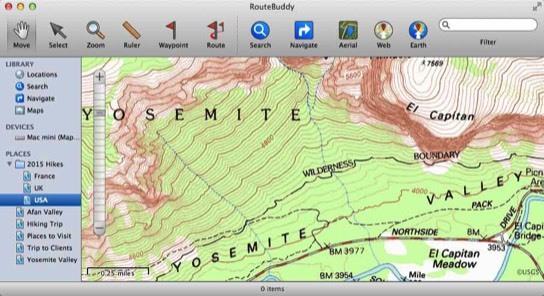 Always print out maps for a hike and use your GPS for spot navigation. 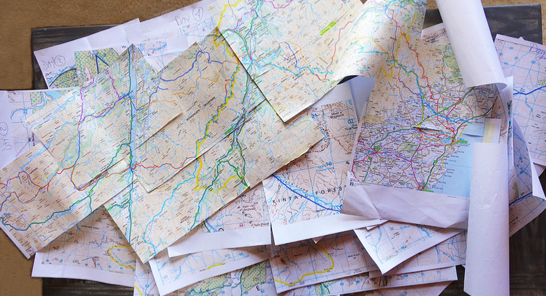 Printed maps show the big picture - but - digital maps are useful when visibility is poor. 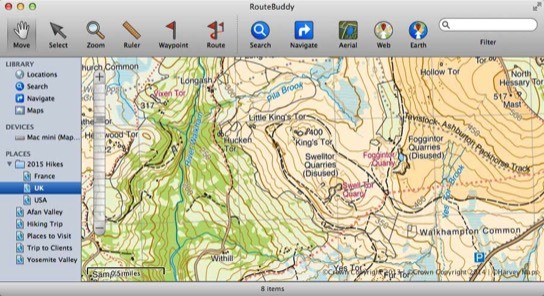 RouteBuddy’s WorldGeo Maps™ what are they all about? All the Layered Maps on the left are in the same area and seamlessly connect. 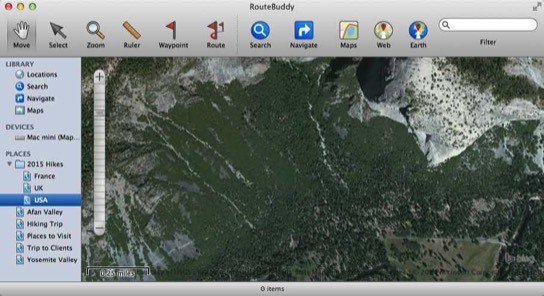 In RouteBuddy you can look at maps from any country, from any cartographer, and all in the same RouteBuddy map screen. WorldGeo™ maps are the same projection as web maps (Mercator). 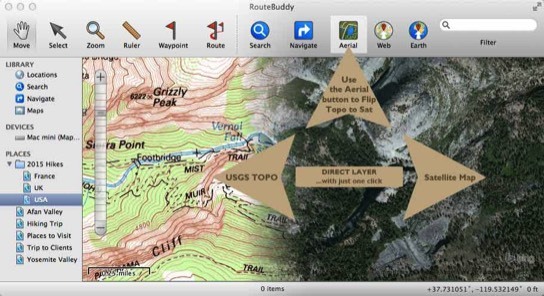 When you see a TrailHead™ map from RouteBuddy you’ll know that we’ve increased our map outside of the standard boundaries our competitors use (for example a National Park boundary). When looking at the given boundary we’ve noted to see where you, the map buyer, may need to access the park, or trail, via public transport, on foot or by cycle, and adjusted the maps accordingly. Personal | Business | Organisation? IGN offer a wide range that suit walkers, cyclists & road, river, canal users; packed with detail the colours enable any user to make the best use of the map. 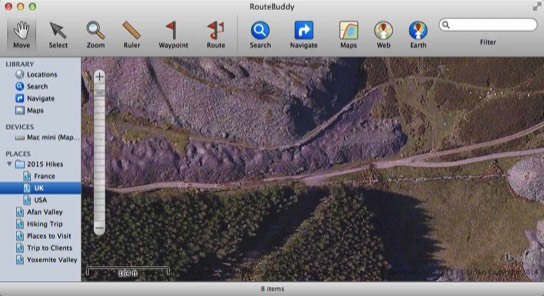 Aerial view in RouteBuddy is one-click to immediately transition from your topo map to satellite view. The difference is we offer unique DirectLayer technology. The image shows the transition between satellite map and IGN 25K map. 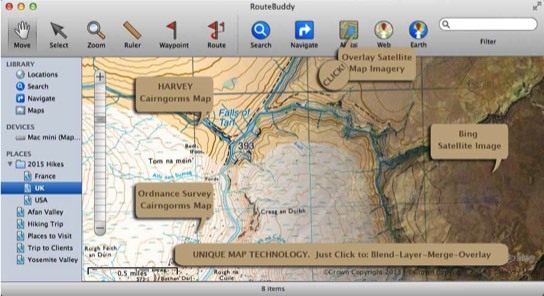 Each map, from every cartographer, is modernised to the WorldGeo™ map standard. USGS offer a wide range that suit walkers, cyclists & road, river, canal users; packed with detail the colours enable any user to make the best use of the map. With bags of terrain detail you have a powerful tool when it comes to helping you plan routes. With every map, from every cartographer, we modernise them to the current WorldGeo™ map standard. 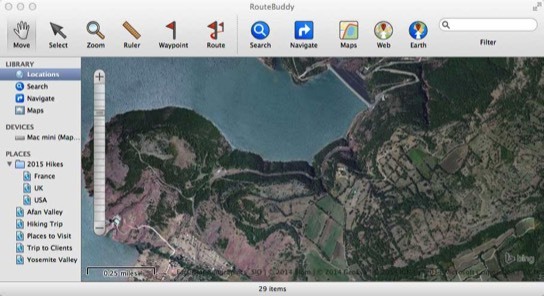 What this means is that you can look at maps from any country, from any cartographer, and all in the same RouteBuddy map screen.